Since we working with Go, it’s good time to play a bit with Fibonacci numbers. First of all it’s great in case of learning a new programming language and second, we will try to analyze a bit recurrent function and write it’s short iterative implementation. As a bonus we will write function that return function that return int . But let’s starts from a theory. The definition of Fibonacci numbers state : Fn = Fn-1 + Fn-2 . The whole idea is find number by given its index. Note: Simple well known recursive approach. The first problem is possibility of stack overflow. The second one it’s exponential time of execution. Third problem is repetitive calculations. For example if we will calculate value at index 4 -> f(3) + f(2), it mean that f(2) will be calculated twice. And if we will calculate value at index 5 -> f(4) + f(3), it mean that f(3) will be calculated 3 times. And so on.. So suitable solution for third problem may be using some data structure (slice for instance) to store data and avoid unnecessary calculations. 3. There is another way to write iterative Fibonacci function in Golang. Actually its a function that return function. And last one return int ! In this post i will introduce some basic (real basic) web development in go. We will start to implement TODO list and at the end of this topic it would’t be perfect but it will compile and show us proper results. May be in following topics we will continue to develop and expend this project. Sources will be available at the bottom of this post. Firs of all lets start from Controller. Here we declare all packages we going to use. It right time to mention that code will not compile when you try to declare some package you are not going to use. By the way the same approach with defining unused variables. Next we define ToDo item as struct (since i go there is no classes) and some TodoItemsSlice as slice. In short, slices are collections : it has an ability to add and remove items. It’s easy to see that server starting listening on port 8080 (browser port). In addition we can find two handlers: one for entering for the “localhost” and the second one when entering to “localhost:8080/additem” (in order to add more items in ToDo list). Now let’s skip default handler and talk about addHandler. In general handlers are functions that will executed when user will enter to specific URL. More about Go handlers you can find here. Method addItemHandler gets two parameters: reponce and request. When use will enter to “localhost:8080/additem”, this handler will be executed. 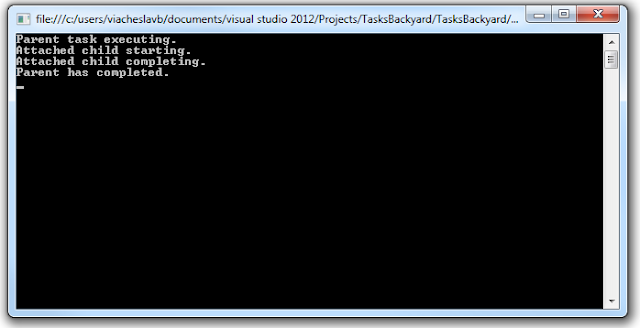 So first line is printing in console (by using log) and the we parse our view file by usage oftemplate. Usually view file can be represented as html but n this case it represented by gtpl which very similar to aspx file in APS.NET. Interesting point here is that template.ParseFiles function returns two values (yes, it’s possible in go ) – result and error. Result represented by “t” variable, but we not going to use error at this point. If we define it (error variable) we have to use it, otherwise it will not compile. In order to avoid usage of returned variable we just using “_” telling Go that we are not interesting in it. Another interesting point here is defining variables. In go there are two ways to define variable: by using “var” and by using “:=”. You can read about it here. Let’s move on and take a look at our main handler. At the beginning we trying to get caption value which we read from form. If found one, we create new todo item and populate it with proper data and append it to the slice. And the simply returning to the main.gtpl and showing results. At this point i was encountered with this specific issue and it took me some time to get to the point and make it work. Since i spent some time on it, i suppose there are other who will encounter in the same issue. So let me show you how i resolved it. Goal: output dynamically changed slice on the main.gtpl page. Approach: within main handler we pass to the Execute function our slice which actually will be a context of main.gtpl. That’s it! Undo send. It gives us ability to cancel almost send email in specified cancellation period of time, which in some cases might be useful. Stars. By adding more stars we can get more control over our email discussion. Short glance, quicker response. Labels. Free you visual space by hiding unnecessary items. Show if unread - means hide by default, but if it contains unread emails, it will be shown. A large part of my nature is to constantly move forward in spite of everything: of failure, ups and downs, joy or sorrow. I constantly learning from anything i experience. I look at it the same way as the natural process of breathing or a natural smile on face of a standing smiling man. Since the constant movement always creates friction, I always have to look for new inspiration that will give me energy in my travels for constantly movement forward. And this time I discovered a new direction – a motivational video. And here is the first one. Disclaimer: This video found at Mateusz M channel. But you may find it at the techflask youtube channel. I think I falling in love for the first time after years of software development. I believe it should happen at least once to each software engineer, who truly loves what he does. It wasn't love from the first sight. I felt something strange, something completely different from knowledge i gain till this point. But sometimes people prefer their warm and very familiar comfort zone. And this was the case why our date was over then. Since i remember my career, I always have been developed in OOP: C#, Java/Android. And any other approach felt like i have to leave cozy comfort zone of mine for something unfamiliar and risky, something questionable to invest my free time. I have a wife and lovely twins after all. After almost half a year i was encountered "by accident" in "The Go Programming Language" course at PluralSight. By the way i really encourage starting from there, since it's the best overview to get familiar with Go concepts and approaches. Clear explanation along with great code examples will provide you great starting point. Language was developed in 2007 by Google engineers. Intentionally designed without any inheritance at all. Use composition instead. Function may return more then one value. Such ability does not exist in C# or Java. Working with Go routines (represent thread) is really easy and have ability to exchange data between them by using channels. There is no possibility to use undefined variables. It looks to me Go has a lot of potential. Language itself do efforts you write cleaner and understandable code by applying it's rules. For example there is no possibility to use undefined variables, what is possible in C# and leads to less readability and message. Since Go become part of Google's infrastructure it smells like relative stability to me. Besides, company has a lot of experiences in enterprise software development as well as in concurrency fields, meaning they try to implement their extensive knowledge in Golang. Although it feels different from what i used to, but looks like going to invest a lot of time with this language. Sometime we need to update UI from a task. In order to update UI we should run or return result in UI thread. But it seems to impossible since all tasks run on threads provided by ThreadPool. But still, we can achieve updating UI from the task by using synchronization context Task Scheduler. First we will see an approach and then we will discuss about it and explain what we just saw. The second task (ContinueWith) will be able to print to the UI thread. We all worked with ContinueWith() method but there are some interesting and useful facts we should be aware of. Fact 1: task1 and task2 in previous example may run on a different threads. In order to obligate to run on the same thread we can use TaskContinuationOptions.ExecuteSynchronously. Developers can define parent-child relationships between task. The main idea is, parent task is completed when all its children tasks are completed. Please notice to parent.Wait() method. Its says to the parent that it will be completed when everything inside it is completed. If you will try to run without mentioned earlier string, the results will be "slightly" different. Notice that code is not define who run first within father's task. It only says that father task will complete only after everything else is completed inside it. Let say that we second son should be executed right after first one is completed. So how do we achieve it ? MSDN suggest us to use TaskCreationOptions.PreferFairness. I will cover it in my future posts.